Slow PC? Not only viruses make the system stop working correctly, but also junk programs; therefore, here I will show you the best PC optimizer to tune up your computer for free. Over time, Windows is storing different files, programs and other things that all they do is take up space and slow down the system. The more programs you have installed on your PC, your performance will decrease. Besides, every time you save and delete files on the disk, it is fragmented, which causes a slowness in the system. The solution? Use some PC optimizer to speed up things on your Windows. The Avira Antivirus company also has among its ranks the free PC optimizer Avira Free System Speedup. This is a tool that focuses mainly on three things: the release of disk space, better system performance and privacy protection. In addition, it includes options to reduce the Windows startup time and improve the performance of your laptop’s battery. For its part, the paid version offers a defragmenter and a file encryption tool. CCleaner is one of the most popular free PC optimizers to clean Windows, used daily by more than 130 million users. 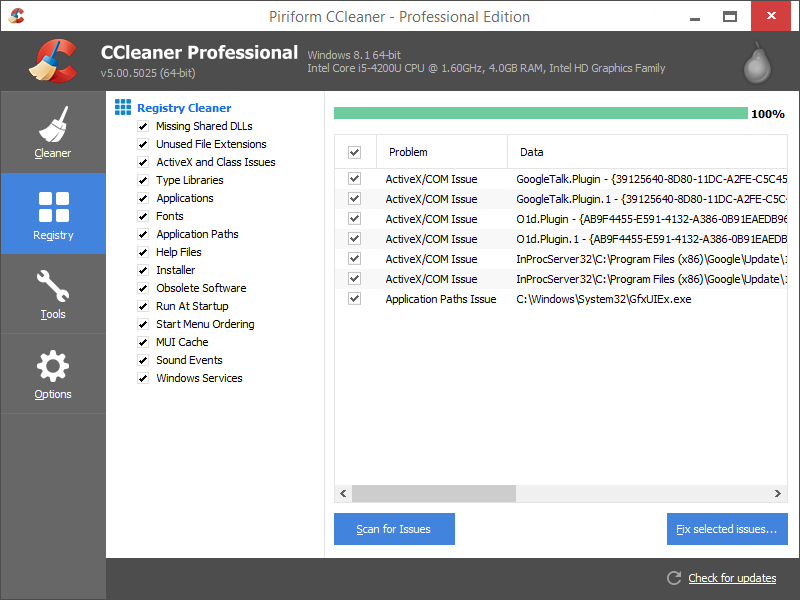 CCleaner includes a series of functions such as cleaning junk files from browsers, freeing up hard disk space, uninstalling system programs, among others. The program is offered as a free version and a paid version. The latter includes a disk defragmenter, a file retriever and a hardware analysis tool. Despite the hacking suffered in 2017, shortly after Avast acquired it, CCleaner is still an attractive option for those who want to carry out a system cleaning automatically. The software is available from Windows XP onwards. 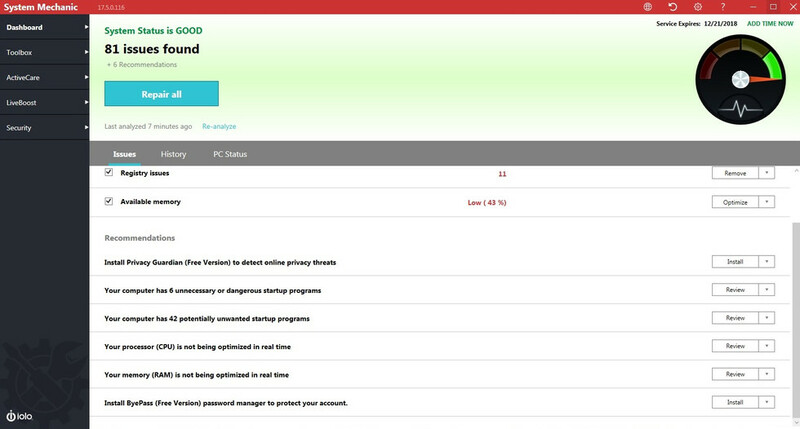 IObit Advanced SystemCare Free is a program to speed up your PC and protect your privacy online. The PC optimizer performs the cleaning of Windows in the background. In this way, you can give a new life to your old PC without interrupting your activities. Among its primary functions is the Face ID, which can detect intruders through the webcam when you aren’t using your computer. For its part, the Pro version (paid), includes some extra options such as automatic RAM cleaning, better hard drive performance, faster Windows startup and a real-time monitor of the CPU, RAM and hard disk. 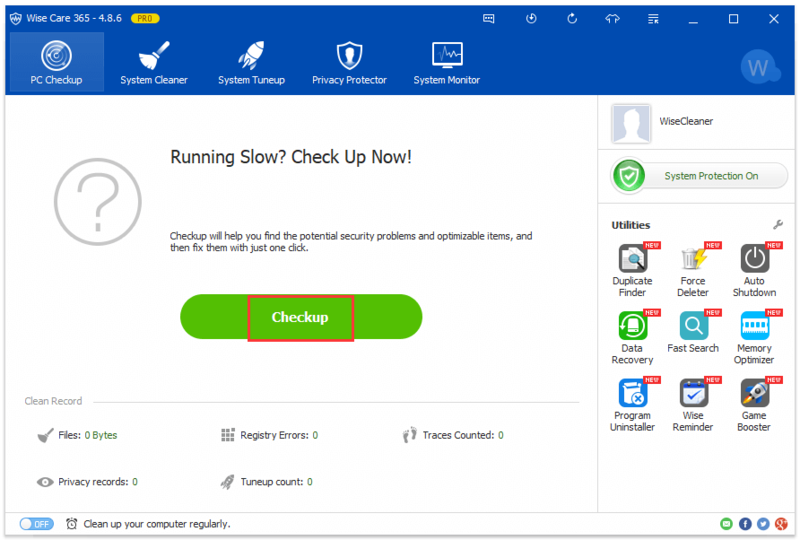 BleachBit is the free alternative to CCleaner for Windows cleaning and optimization. 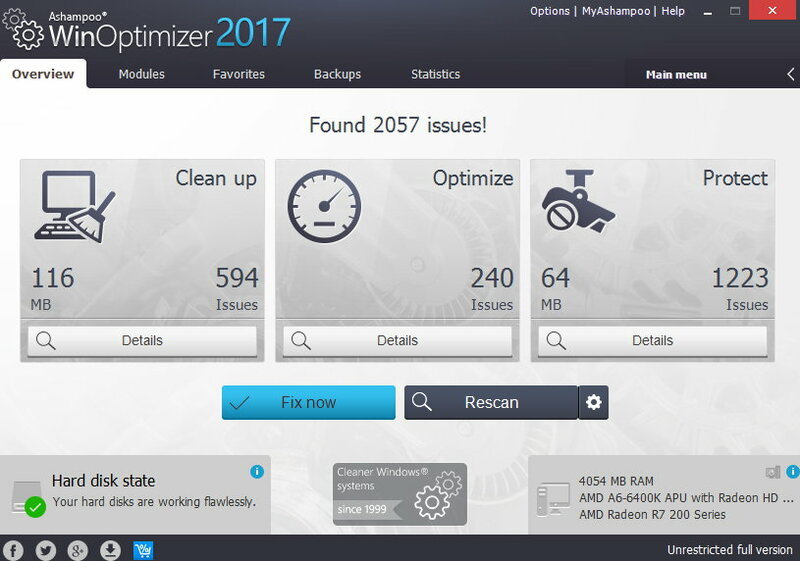 This open-source PC optimizer offers options to remove temporary files, remove obsolete system records, clear the cache and clean the data stored by the main browsers. Not only that, but it also includes options to destroy files and clean up the free disk space to prevent the deleted information from being recovered. Undoubtedly, an excellent free option for cleaning Windows and Linux. Wise Care 365 is a robust PC optimizer to accelerate and optimize Windows to the maximum. The tool offers protection in real time to prevent any program from being added at the start of Windows or to change the default page or browser. Besides, it includes an optimization tool that defragments the registry and the hard disk, as well as a tool to view the hardware inventory. If you are looking for more options, you can buy the Pro version that includes privacy protection, automatic silent mode cleaning system, faster boot speed, a utility to monitor computer software and hardware, and more. 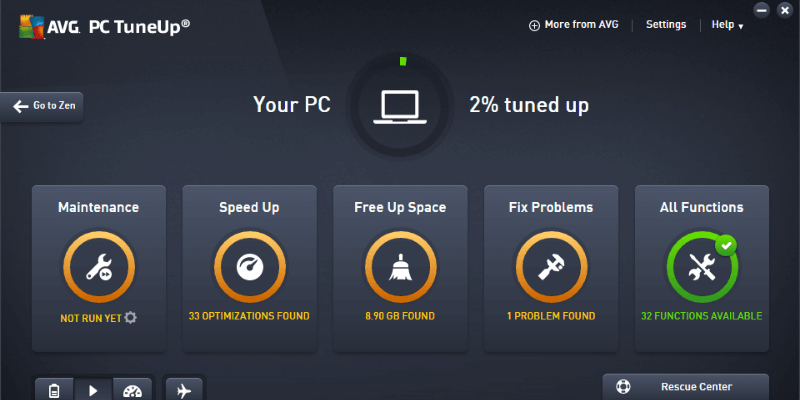 The popular AVG antivirus also has a PC optimization and repair tool called AVG TuneUp. Perhaps this name doesn’t sound familiar to you, but it is the well-remembered and popular TuneUp Utilities, which was one of the best PC optimizers. This tool has features to free up disk space, increase battery life, speed up the PC and repair Windows crashes. Not only that, but it also analyzes the system in search of processes that consume too many resources to put them in a state of suspension and thus reduce their high impact on performance. Finally, it has a subscription version that adds some interesting features such as a program updater to avoid being a victim of a security breach. Cleaning your PC without programs can be an arduous task. To save you this task you have SlimCleaner, a complete utility to have more disk space and less unwanted programs. 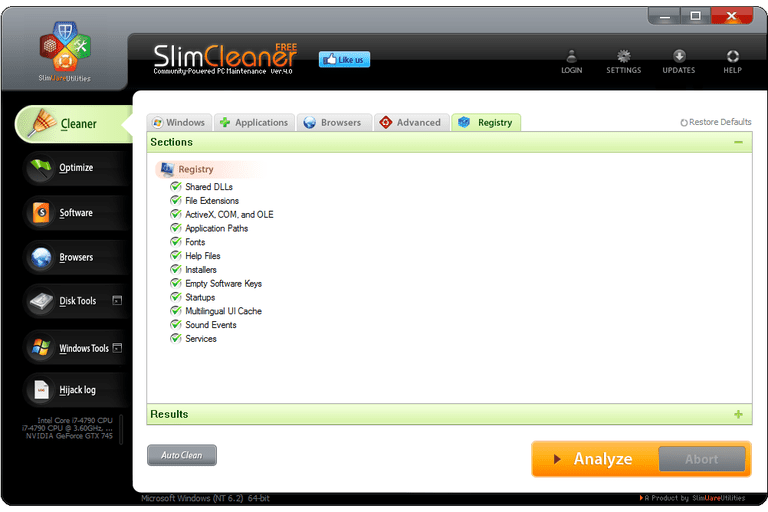 Slimware SlimCleaner offers a set of tools to clean the registry, optimize Windows, destroy files safely, update programs automatically, analyze and defrag discs, etc. One of its significant advantages is that it backs up the registry automatically. So, in case something goes wrong, you can always go back to a previous point. However, some of its functions such as performance improvement, power management, and one-click analysis are only available in its Premium version. SlimCleaner is available for Windows 10, 8, 7, Vista and XP. 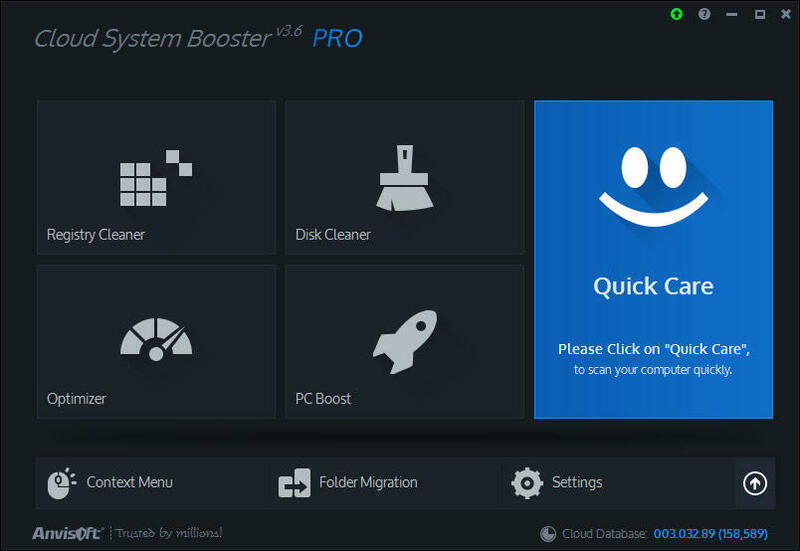 Anvisoft Cloud System Booster is a complete utility for cleaning system junk files, correcting registry errors, fixing browser problems and optimizing PC performance. Despite not being as powerful as AVG TuneUp, Cloud System Booster can perform a system analysis in search of fragmentation and registry problems. Among its main tools you have Registry Cleaner, which removes outdated registry information; Disk Cleaner, a program that eliminates junk and temporary files; Optimizer, a tool that adjusts the network configuration and startup; PC Repair, a program that repairs file extensions; among other. Despite all these useful features, some of its functions are limited to its paid version but remains as one of the best PC optimizers for Windows. Iolo System Mechanic is one of the best PC optimizers to eliminate files and unwanted applications from the PC. Iolo System Mechanic can block the bloatware and some unwanted autorun instructions. You can even free RAM, clear browser history and cache. Besides, it is one of the few apps that are capable of significantly improving the startup speed of Windows. If your PC is not starting up or loading apps at the same pace it did when you just bought it, then you should try Iolo System Mechanic. The program is available for Windows XP, Vista, 7, 8 and 10. Ashampoo WinOptimizer is a free PC optimizer to speed up Windows and make it go faster. 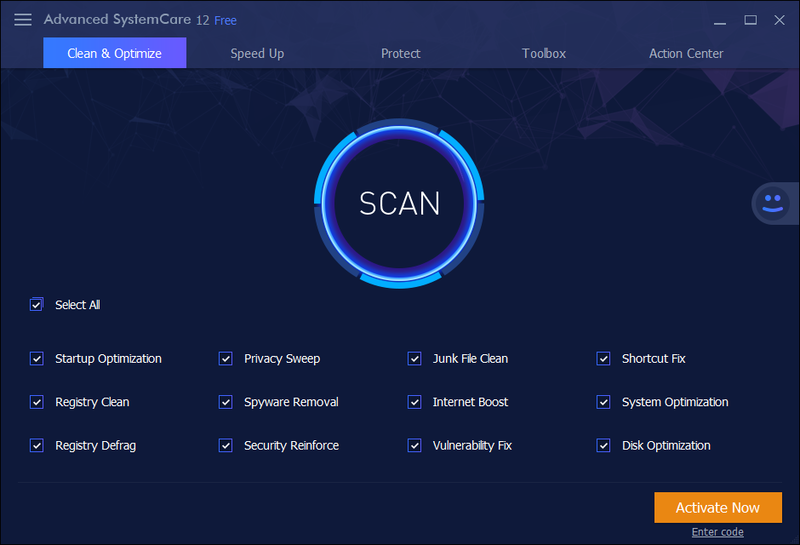 With this software, you can search and delete junk files, broken registry entries and browser cookies, but includes not only system maintenance tools, but also a fast and complete scan. After scanning the system, you can see the results one by one. In this way, you will get a complete description of each problem that is identified, know precisely what it is and why you should consider solving it. Ashampoo WinOptimizer is compatible with Windows 7 and up. 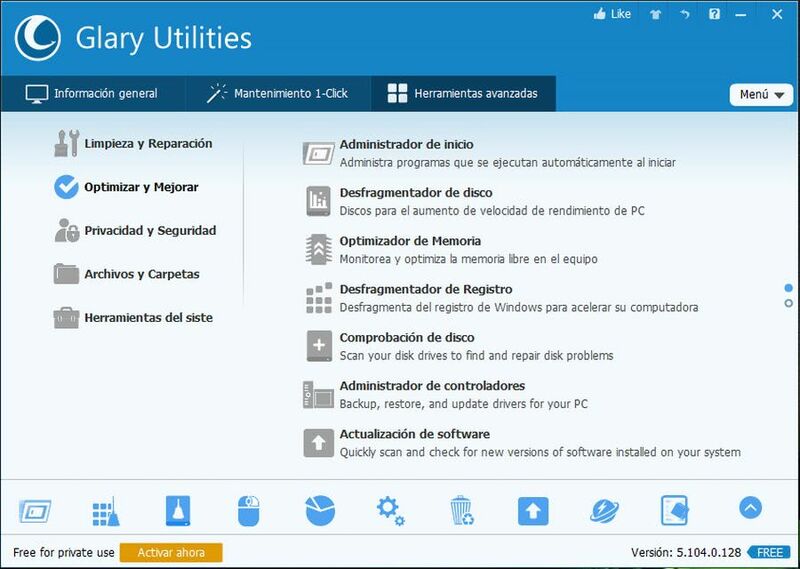 Glary Utilities is an all-in-one PC optimizer to clean and optimize your PC in a few clicks. If your PC crashes, “freezes” or stops working at any time, Glary Utilities has more than 20 tools to correct these errors and maximize the performance of your computer. With a simple and easy-to-use interface, the program can manage programs that start with Windows and delete files safely so they can not be recovered. Besides, it includes privacy protection features and an integrated driver updater. Of course, some of its functions are only available in its Pro version. Wise Disk Cleaner is a free disk cleaner and defragmenter. If your PC is slow, with this PC optimizer, you can clean unwanted files from browsers, Windows and defragment the disk. Among the main features of Wise Disk Cleaner, you have safe cleaning of useless files, deletes the Internet history and other traces of the PC, defragment and reorganize the hard drive files. 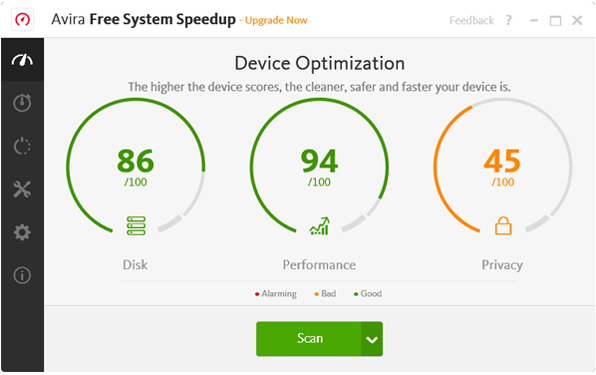 Undoubtedly, one of the best PC optimizers for Windows cleaning. The best thing is that it is small and hardly consumes system resources. So far those were the best tools to optimize your system quickly and for free. You only to download the one that best suits your needs. Do you use any of these PC optimizers to tune up your Windows? Let me know in the comment section.